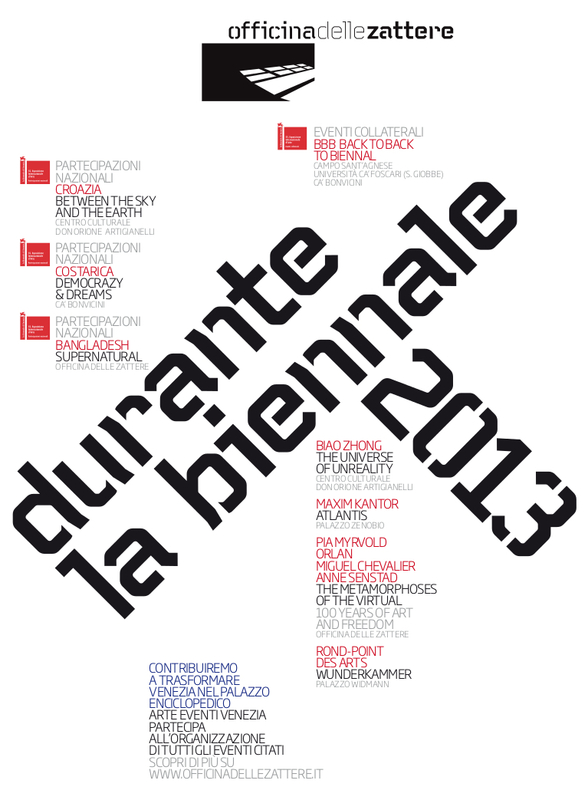 27 May – 31 October 2013. 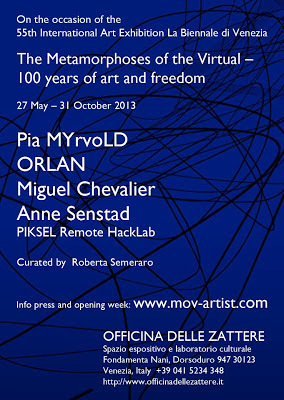 Pia MYrvoLD, Miguel Chevalier, ORLAN, Anne Senstad and Piksel Remote HackLab offer a mix of cutting edge art strategies, groundbreaking works in digital animation, generative and interactive interfaces and perhaps an ironic insight to the darker aspects of a technology crazed world. “Metamorphoses of the Virtual - 100 Years of Art and Freedom” is an independent pavillion in the newly opened art space - Officina delle Zattere. 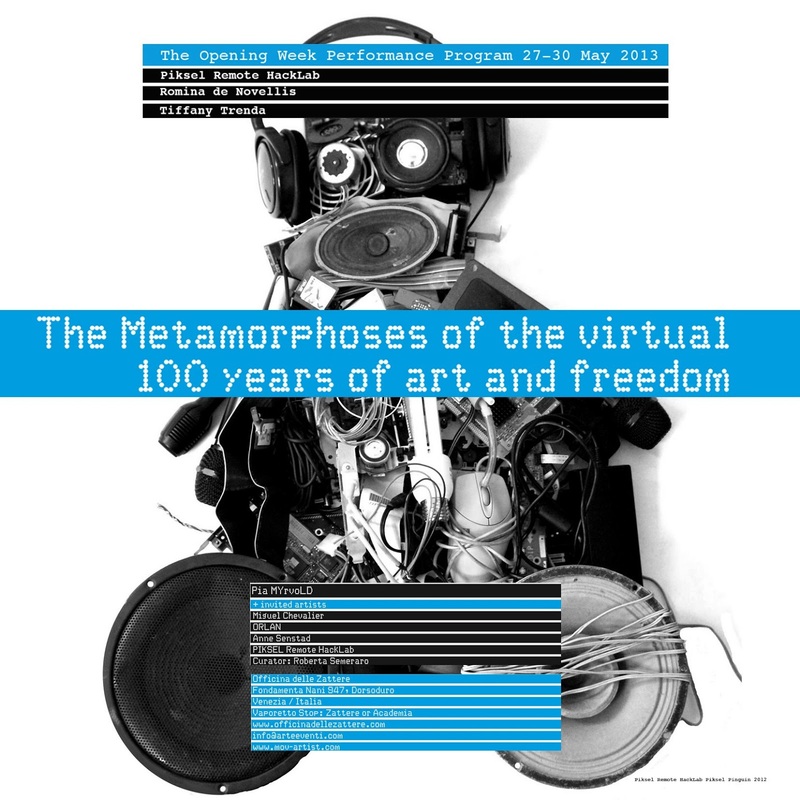 Curated by Roberta Semeraro, the theme elaborates on the new virtuality that is possible through digital media and the flow-image, as well as the situation for innovative artists today, 100 years after the beginnings of the Modern Movement and gender equality in countries like Norway. 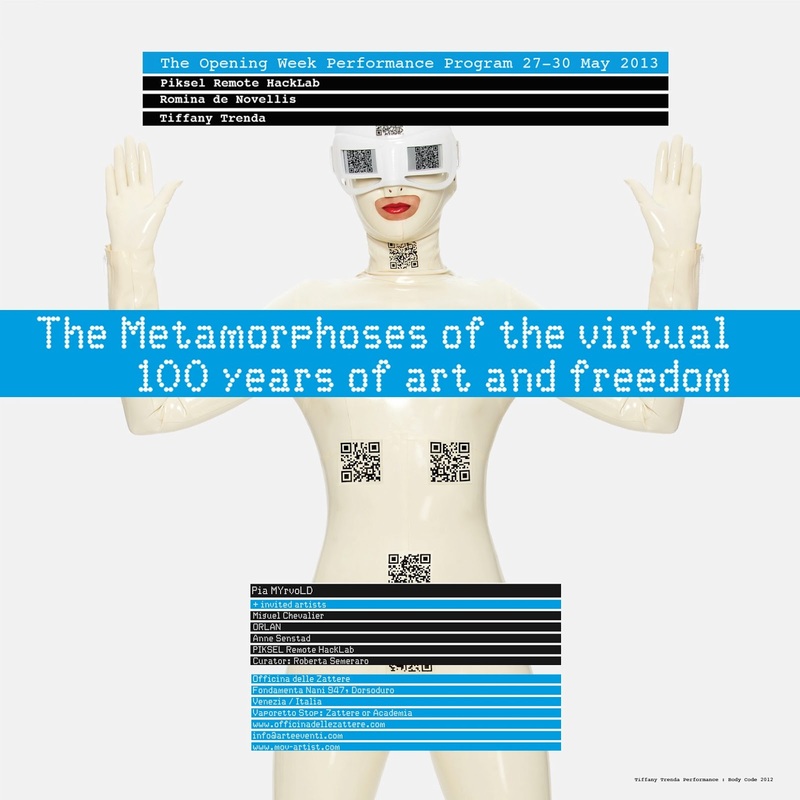 Norwegian artist; Pia MYrvoLD creates in her Paris studio digital works and multiple screen installations, introducing new parameters in sculpture and painting; “The Metamorphoses of the Virtual”. 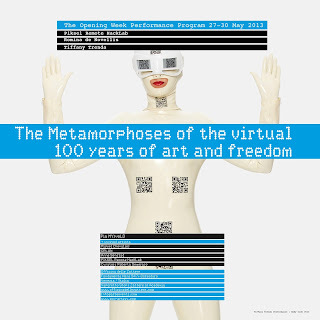 The French artist; ORLAN, premieres an elaborate 3D video; “Skinned Model of Liberty” while Miguel Chevalier’s installation “The Origin of the World” engages with interactive technology and generative image software. Norwegian artist; Anne Senstad brings from her New York base the immersive architectual video installation “Universals”. 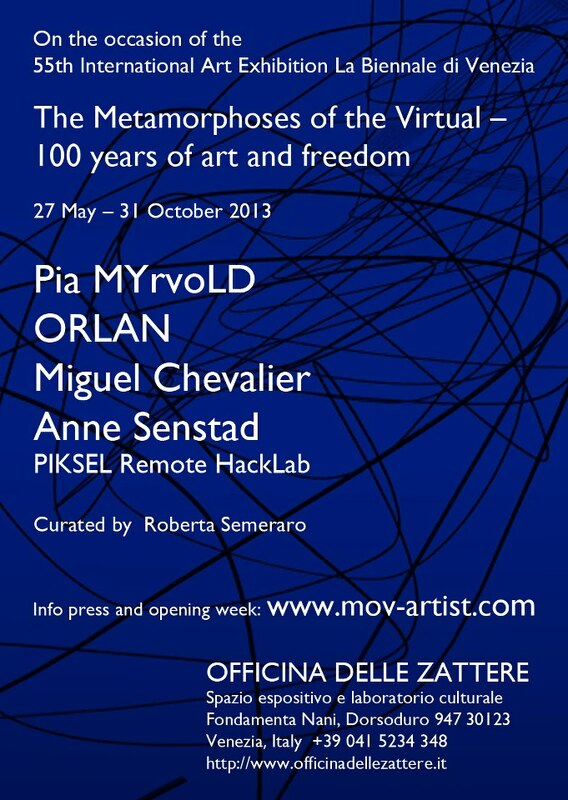 Piksel Remote HackLab, an international group of network artists with an open source philosophy, will create mystical art objects from technological waste in a performative workshop. The Opening Week Program starts with The Exhibition Book-Launch and Pre-View Cocktail on the 27th May. Featuring 112 pages of the artists individual work history aswell as articles by David Rosenberg, Christine Buci-Glucksman, Phillipe Piquet, Kjetil Røed, Celina Jeffrey, Jonathan Kemp and curatorRoberta Semeraro, the book designed by Regis Glaas gives a comprehensive insight on the ideas and motivations of a new generation of artists and intellectuals working and redefining aspects of visual art and culture in the new millennium.